The Rugby Football Union (RFU) knows that CRM data is a powerful tool to connect with fans. To help deliver engaging, personalized content that inspires fans to play a more active role in the sport, the RFU worked with IBM to build a single view of each customer based on interactions with its website, online store and grassroots events. To drive investment and participation in the sport, the Rugby Football Union aims to boost fan engagement on the digital channel. How could the RFU tailor its outreach to fans’ unique preferences? The RFU uses a centralized customer relationship management platform and analytics-driven digital marketing solutions to personalize its messages based on a 360-degree view of each fan’s preferences. The Rugby Football Union aims to make rugby England's strongest sport—and the organization has set a four-year strategy to drive investment in grassroots community rugby and support elite performance of the England teams. 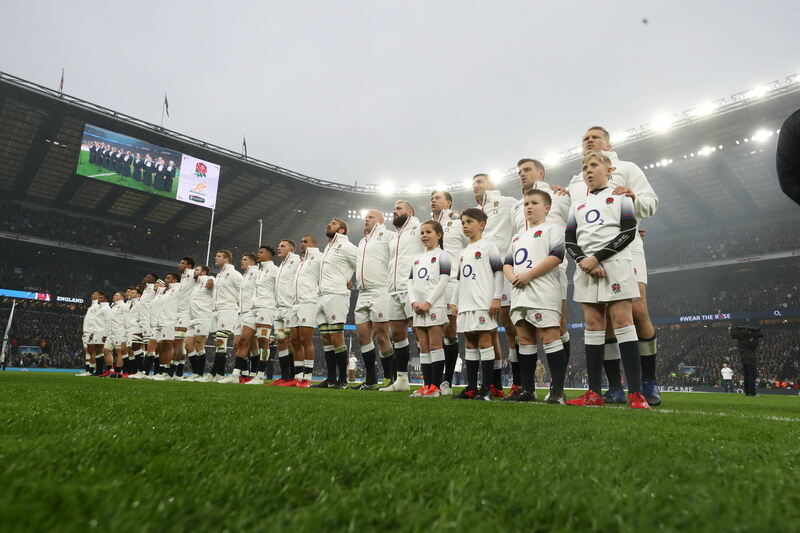 Joanna Manning-Cooper, Director of Digital, Marketing and Communications at the Rugby Football Union, explains: “Customer and stakeholder engagement is a crucial strategic focus for the RFU. Whether it’s selling out Twickenham Stadium for England Rugby events or building support for rugby programs in local communities, we aim to encourage more players, more supporters and more volunteers to get involved in and enjoy the sport. With so many different audience profiles, the RFU knew that personalizing its outreach was crucial to inspire fans to engage—but in the past, identifying the unique preferences of each of its fans was a difficult task. She continues: “Our siloed approach also made it difficult to ensure that we were communicating in a consistent way, and there was always the risk of overwhelming customers by sending multiple updates in the space of a few hours. To achieve the goal, the RFU created a centralized repository for CRM data based on IBM Db2® databases and IBM InfoSphere® Information Server. The integration platform enables the organization to collate, cleanse and merge fan data from eight separate databases, including information on grassroots participation, website registrations, ticket sales and customer contact registered in the organization’s Microsoft Dynamics CRM platform. To segment its CRM data and reach out to fans with personalized messages, the RFU deployed an analytics-driven marketing platform based on IBM Campaign, IBM Watson® Campaign Automation and IBM SPSS® Modeler. The solution offers the RFU a 360-degree view of each fan’s individual behaviors and preferences based on their interactions across all its channels. After working with the RFU to build the business case for the project, IBM helped the organization transition to the new approach to digital engagement. Manning-Cooper recalls: “Our previous CEO had worked with IBM in a previous role at The Championships, Wimbledon, and was a key sponsor from the start of the project. It was clear to all of us from the outset that the IBM team understood the demands of high-profile sporting events and environments, and we were impressed with the depth of their insight. The RFU has created an in-house digital marketing function that empowers every part of the organization to reach out to fans with compelling, consistent messages. “We feel IBM is widely regarded as a global leader in digital marketing, and our success in deploying targeted campaigns at scale has definitely backed up that reputation,” says Lister. “Our customer insight manager uses IBM SPSS to perform propensity modeling on our CRM data, which helps us to identify the segments of our audience who are most like to respond to a given campaign. “For example, if we have an upcoming club rugby match, we can identify members of our audience who live within a commutable distance of Twickenham Stadium and have shown an interest in related content on our digital platforms. This means we can target the right customers and not ‘over-sell’ to fans that might not be interested in that event. With a single view of each fan’s unique preferences at the heart of its communications strategy, the RFU is achieving its goal of driving engagement with the sport. “Without a doubt, our single view of the customer has changed our approach to marketing,” comments Manning-Cooper. “In the past, we had to spend significant amounts on paid media and market research agencies—but today, we can deliver the majority of these capabilities to the business ourselves. By identifying the optimal audience for each opportunity, the RFU is boosting ticket sales for key events in its sporting calendar—helping to boost revenues and increase its ability to re-invest in developing the sport. “We were recently briefed by one of our departments to help drive ticket sales for a lower-profile event that doesn’t usually sell out,” explains Lister. “By identifying fans with low, medium and high propensity to purchase a ticket, we developed a tailored campaign for each audience. “The England Rugby Club is a free and paid digital membership program that delivers the best of England Rugby content, offers and partner messaging to fans, while making them feel like they’re part of a bigger community of rugby supporters,” says Lister. “We have an active focus on database growth and a series of nurturing program aims to increase both engagement and commercial conversion. With deeper insight into fan participation with grassroots rugby, the RFU can offer coordinated support to local clubs across the country. Based on the success of its work with IBM, the RFU is already planning ways to enhance its approach to fan engagement. Founded in London, England in 1871, and headquartered in Twickenham, the Rugby Football Union (RFU) is the governing body of the English rugby union. Employing 600 people and supporting more than 60,000 volunteers, the RFU has a strategic objective to invest in English rugby clubs, the England national rugby union team and rugby in schools. © Copyright IBM Corporation 2018. 1 New Orchard Road, Armonk, New York 10504-1722 United States. Produced in the United States of America, March 2018. IBM, the IBM logo, ibm.com, Db2, IBM Watson, InfoSphere, and SPSS are trademarks of International Business Machines Corp., registered in many jurisdictions worldwide. Other product and service names might be trademarks of IBM or other companies. A current list of IBM trademarks is available on the web at “Copyright and trademark information” at ibm.com/legal/copytrade.shtml. Microsoft, Windows and Windows NT are trademarks of Microsoft Corporation in the United States, other countries, or both.